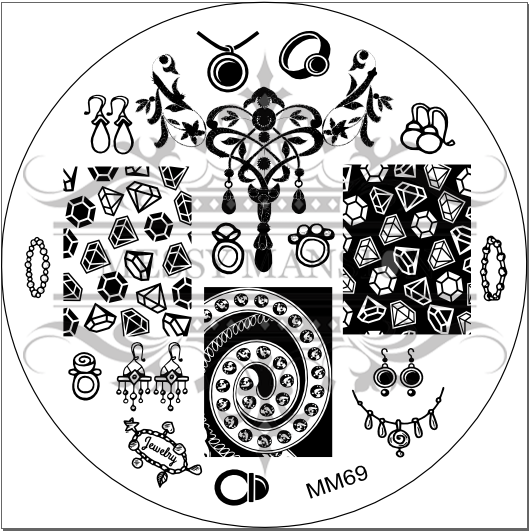 Lacquer Lockdown: Hot Off The Stamping Press: New Messy Mansion Nail Art Stamping Plates + Carbon Nail Art Stamper + MM Decal Stamping Mat + New MM Stamping Polishes!! 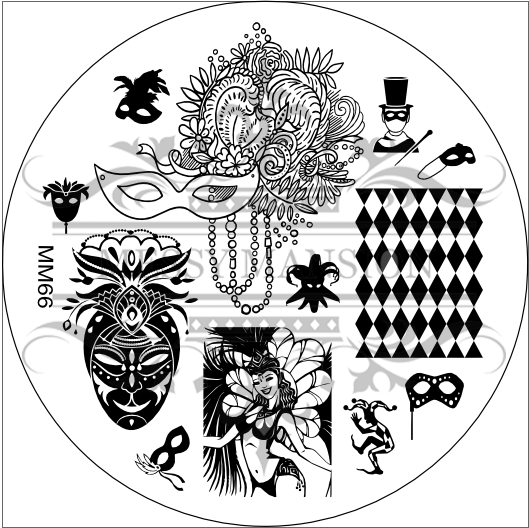 Hot Off The Stamping Press: New Messy Mansion Nail Art Stamping Plates + Carbon Nail Art Stamper + MM Decal Stamping Mat + New MM Stamping Polishes!! Talk about good things coming to those who wait. Lol let me say I have been waiting for this moment for a very very long time. The moment when Julia the powerhouse creator behind Messy Mansion would do a few of the things that insanely long title indicated. 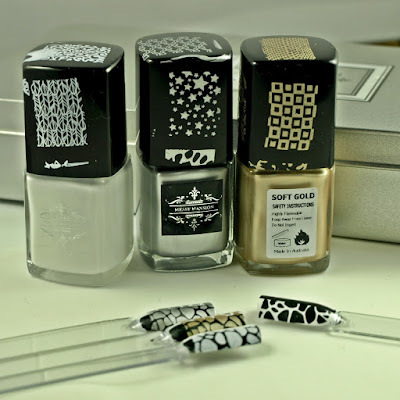 Yup first - she finally finally created and announced her release of stamping polishes. I knew this day was coming since she first revealed her Leadlight Polish line and oh how I prayed about it. "Please let Julia make a stamping polish because she is so good at what she does! ", and then guess what she did! Also because I have a little birdy whispering in my ear I knew this carbon stamper was coming. I had some kind of small stampergasm when I first saw it. You will too lol. I'm so busy getting excited about this I haven't even talked about the plates. Whatever let's get into this thing! Ladies love bling lol! I would be lying if I didn't include myself as a lover of bling especially on the nails. I feel a Moulin Rouge montage coming on! Something like "Diamonds Are A Girls Best Friend" sung in conjunction with Madonna's "Material Girl". Loving the chandelier earring dead center and the negative image jewels! Hoooo yes yes yes! October Decadence indeed! Let me tell you something about the month of October for me - it means pumpkin beer and a variety of artisanal wines. Do I sound like a snot? Maybe a bit but I used to work in a winery during my undergrad days and let me tell you I've got a love of wine country deep in my soul. When the holidays roll around if wine is not part of my dinner table something has gone drastically wrong! As in worlds are colliding and I'm forcing my family members to scour the city to find the one open liquor store in the entire city. Gah flashback to last Thanksgiving! Needless to say I need this plate yesterday! (Mental note to self: have favorite wines stocked up for Thanksgiving this year.) 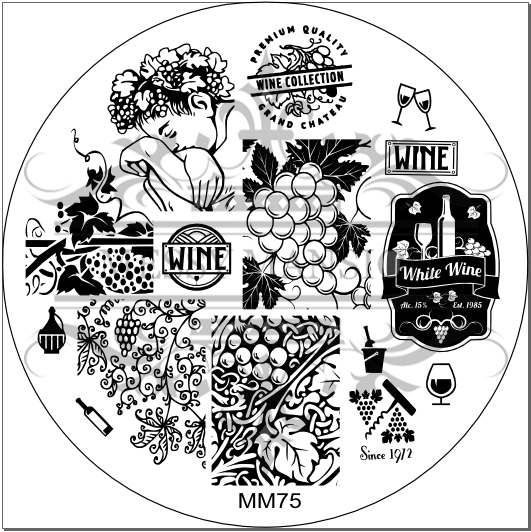 Now let's talk stamping accessories! 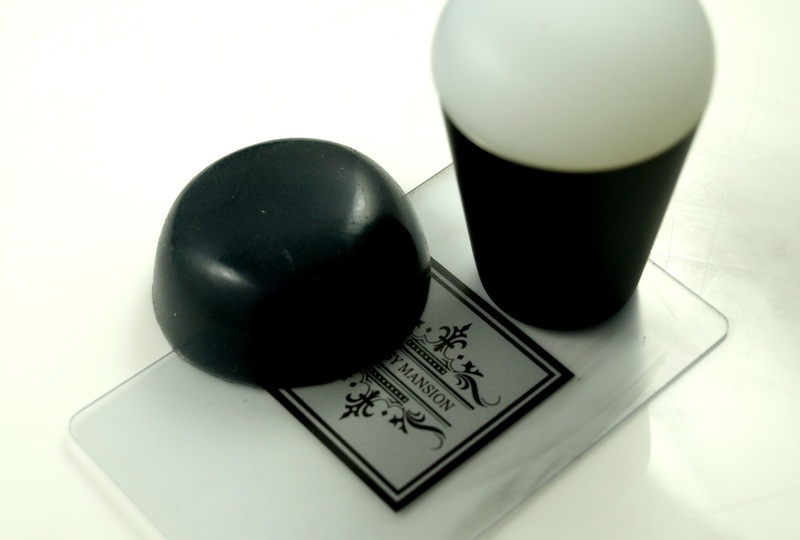 This black Carbon Stamper from Messy Mansion lord save my wallet! So here's the deal - the head is slightly larger than those we've seen from any other company and its rounded. I watched the video and while I don't have the stamper I surmise that its somewhere between the softness of the Chelle We Stamp/MoYou London XXL Jumbo Stampers and the new one's cropping up all over the place that are all essentially stampers from AliExpress that have been repackaged (lol that's all together another story though). I just wanted to point out that this one is unique i.e. different from ANY others I've seen thus far. Also apparently somehow the formulation of this pad allows for slower dry time with your stamping polishes at least that's the case when used with the new stamping polishes from Messy Mansion! Don't believe me? Watch the video! And here are the stamping polishes! Thus far they have Carbon (Black), Chalk (White), Soft Gold, and Sterling (Silver). I'm not sure when the polishes will be in stock however the Carbon stamper is available for preorder now/may already be at the warehouse.